When it comes to cops accepting gifts, things can get tricky. For instance, it’s usually not okay to accept gifts from business owners or community members because it’s the kind of thing that makes some people think cops play favorites and give some people preferential treatment. But there’s nothing wrong with a cool coffee shop owner who shows his appreciation by giving a cop a free cup of coffee every now and then. The best, though, is when some stand-up citizen decides to do something nice for cops anonymously. This way, there can be no accusations of impropriety. In a suburb of St. Louis, cops have a friend in the lunch fairy. 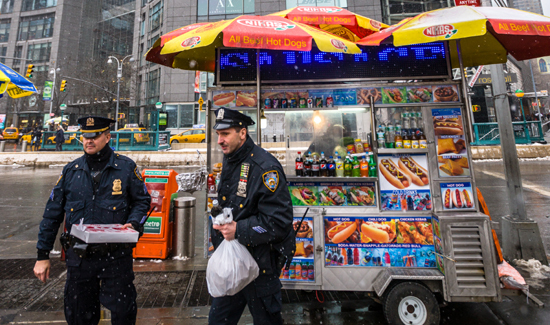 This guy’s been picking up the tab for officers’ lunches for more than a year. Anyway, let’s hear it for the folks out there doing nice things for cops, especially during the holidays.